From the City of Vero Beach on the Florida mainland, there are three bridges that cross the Indian River Lagoon, or inland waterway, to the island named Orchid. We call it the Barrier Island. In the 1700's there were many Spanish galleons making their way from Central and South American heavily laded with gold and silver and jewels, that ran aground in off shore storms and sunk along the coast. Throughout the years treasure salvers and beachcombers have discovered the bounty from these ships and today we are called The Treasure Coast. In the 1920's visitors began crossing the river by ferry and then by one wooden bridge. The first neighborhood area established was Riomar, River to Sea, and this today is one of the most desirable neighborhoods heavily canopied with centuries old Live Oak trees. The village grew up next to Riomar and today Vero Beach is alive with a quaint collection of smart boutiques, fine restaurants, public beaches and lovely parks. After dinner in one of the restaurants such as The Tides or Pommodoro you may find yourself strolling along Ocean Drive to window shop or stop at Cravings for an ice cream cone. You will certainly encounter your neighbors with their out of town family or guests doing the same. The Farmers' Market opens on Saturday mornings on Ocean Drive in Vero Beach. You can purchase freshly baked bread, fresh guacamole, produce, bromeliads, orchids and so much more. Each month the Vero Beach Art Club displays at Humiston Park in downtown Vero for Art in the Park and every March sponsors Under the Oaks, a juried art show which boasts beautiful and unique original paintings, jewelry and crafts. Vero Beach visitors and winter residents hail from Michigan, Ohio, Indiana, Missouri, Virginia, Maryland, Rhode Island, Pennsylvania, all of New England and most any other place you can imagine. Life on the Vero Beach Barrier Island is idyllic. We have very little traffic except in the busiest winter months when we may have to sit through one traffic light to make a left turn. Unlike the west coast of Florida where overgrowth has created traffic and crowded conditions. Life here is peaceful and safe, just as you like it. Are you ready to begin your search for your piece of heaven in Vero Beach? You hardly have to leave the island on any day. Your home, sports, shoppping, dining, theater and museum are all but a few minutes apart. Unlike the west coast of Florida, we have minimal traffic, a low rise moratorium on building, lots of parking and a lifestyle you could only dream about before discovering Vero Beach, FL. We have three golf communities with four golf courses. These communities provide beach and river access with incomparable amenities. Look at my featured listings and see the homes available here at reduced prices - Today's Prices. Life along the Indian River Lagoon, also known as the Florida Inland Waterway, allows you to have deep water docking steps from your home. Depart from your dock for parts unknown or just run over to the Bahamas for a fishing vacation. Homes of all design and price have the Lagoon in their backyard, from magnificent, stately homes to the more casual, or condominiums in various styles and price ranges. Take your kayak out for a trip along the Indian River Lagoon and paddle into a spoil island and spread your lunch on a picnic table. Along the way you will encounter, dolphins, manatees, jumping fish, birds such as Egrets, Ibis, Cormorants and Pelicans. A home nestled along the shore of the Indian River Lagoon will ensure that the sight of these beautiful creatures will become a daily part of your life in Vero Beach. The sunsets over the river are constantly argued by those who favor them to be more spectacular than the sunrises over the Atlantic Ocean. Depends, I guess whether you are a morning person up and ready for long walks on the beach or one who wishes to laze in a hammock with an afternoon cocktail to gaze at the sunset. Plenty of choices in homes and lifestyle, for whichever you prefer. Grier McFarland will help you locate your river home. The most centrally located neighborhood on the island. Many condos and homes are within walking distance of beachside Vero shops and restaurants and, of course, the beach. Those who have discovered Vero Beach have attempted to keep it their secret. An idyllically small community with the cultural amenities of a larger city, Vero offers something for everyone. We have the Vero Beach Museum of Art, an acclaimed jewel offering unparalleled worldwide exhibits and an enviable private collection which also procides moderately priced classes to children and adults alike in painting, sculpting and crafts. The Riverside Theater, a professional theater with a full time director who produces world class performances with casts of Broadway professionals, never ceases to impress and astound. A devoted following works tirelessly to raise contributions to have such a jewel in our midst. Two excellent speakers' series that have featured, General Colin Powell, Bill O'Reilly, Peggy Noonan, Former Prime Minister of Pakistan Benazir Bhutto, Fred Barnes, William Kristol, Tim Russert, Tom Brokaw, Carl Rove, Britt Hume and on and on. Since 1938 Vero was the home of the Brooklyn and then Los Angeles Dodgers spring training. Still in love with baseball, we now have AAA baseball in a stadium comfortably seating 5,000 hometown fans. Water sports abound, as the Treasure Coast is the Sports Fishing Capital of the World. Boating and kayaking on the Indian River Lagoon reveals wildlife such as dolphin, manatees, pelicans, herons, cormorants, egrets and ibis. Theodore Roosevelt dedicated the Pelican Island Wildlife Refuge in 1903 and it is today a protected habitat pelicans and 129 other species of water birds. We have the Environmental Learning Center, dedicated to teaching newer generations about our ecological system on the Indian River Lagoon. From the north end of Indian River County to the south, we abound with Indian River Grapefruit, orange and tangerine groves, cattle ranches, proximity to a real live weekly Rodeo at River Ranch, not to mention air boat rides in the Everglades. The city fathers were wise to have placed a moratorium on building height, thus protecting us from a corridor of high rise buildings that abound in other more heavily populated areas of Florida. The code requires a limit of four stories. Our Atlantic coast, therefore, is lined with luxurious private oceanfront homes and low rise condominiums allowing the natural beauty of the ocean and coastal vegetation to remain as it has always been, open, clean and enchanting. So, our secret is out. Come and join us for a winter or year round residency in Vero Beach, Florida. Whether you want an exquisite ocean front mansion or a quiet tropical home on the river, we have it all. And, Grier McFarland will match you with a home that will allow you to enjoy it all. The Grand Harbor Club is located on the western shoreline of the Indian River Lagoon with a multitude of possibilities arrayed from mansions on the Indian River Lagoon or the Golf Course to condominiums and townhomes surrounding the deep water marina. Membership includes golf and tennis and the Grand Harbor Beach Club where you can spend the day on the beach of the Atlantic Ocean and the evening dining under the stars. The residential area surrounding the Vero Beach Country Club on the mainland, is made up of "Mid-Century" homes, or those built in the 1940's and 1950's, up to today. The architecture and quality of construction are very desirable. Country Club Drive delivers beautiful golf course views from front of each home while homes on nearby streets back up to the golf course. All have lawns shaded by century old Live Oak trees and Spanish Moss. This is the "Old Florida" so many search for. We have it in Vero Beach. 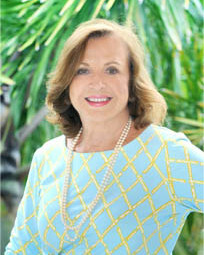 Grier McFarland needs only to discuss your needs and she will begin searching for your home in Vero Beach Country Club. If you are selling your home in Vero Beach Country Club, call Grier. She will work tirelessly to find the right buyer for you. Spreading out is still easy to do in Vero Beach. We have acres and acres of vacant pristine land that is calling for you and your family and your horses. Large and beautiful homes surrounded by acreage and horse barns are the choice of many who wish to live the life of a "Country Gentleman and Lady." Subdivided five acre farmettes are improved with roads, water and electricity and ready for your dream house to be built. And, you can purchase a three to five acre parcel that may already have a horse barn and living quarters for a caretaker to complement your lifestyle if you prefer to have your residence on the Atlantic Ocean or Indian River Lagoon. Grier McFarland will have a discussion with you about your needs and immediately begin searching for the property that will make you happy.